Proud to be leading the way to a better future for Wales by managing the environment and natural resources sustainably. The organisation was formed in April 2013. Freshwater fish species records collected by CCW staff, contractors or members of the public. N.B. this dataset is an interim upload to allow Article 17 reporting to be completed. The data are being entered into Marine Recorder and a regular export will be carried out once this is complete. This export will replace this dataset. The gwyniad (Coregonus lavaretus) population of Llyn Tegid has been considered for a number of years to be threatened by deteriorating environmental conditions, especially those associated with eutrophication. This dataset contains species data from the results of projects established to carry out translocation, hydroacoustic surveys and measurement of environmental variables. Records of species and habitat ad hoc sightings collected in the freshwater environment. This includes, but it not limited to aquatic plants, amphibians and certain easily identified invertebrates. Data collection will be on-going during the monitoring and other survey work. This datasets contains the location and abundance or presence of Great Crested Newts (Triturus cristatus) across Wales. This dataset covers the whole of Wales although the majority of records occur in Ynys Mon and on the borders of East Wales. The dataset has been subject to validation (checking for inputting errors). Records range in accuracy from 2 to 8 figure grid references. 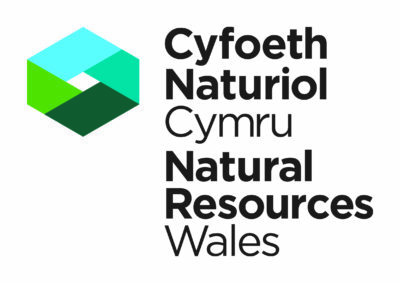 Natural Resources Wales monitoring data for Great Crested Newts on Special Areas of Conservation (SACs) in Wales where Great Crested Newts (GCN) are a special feature. Includes records for other amphibians. A collation of distribution data for 123 species of Red Data Book and National Biodiversity Action Plan lichens. This datasets contains species recorded as part of Countryside Council for Wales' (CCW) Phase 1 Intertidal habitat mapping survey covering all of Wales. The Intertidal mapping took place between 1996 and 2005. All work was carried out by an in-house survey team. This dataset comprises of ad-hoc records of species recorded by staff outside of the methodology of dedicated research and monitoring surveys. Although any species may be recorded, records are usually made where they are likely to be of interest, such as, rare and scarce species and species outside of their normal range or species that have not previously been recorded in a site. Pearl Mussel Distribution for Habitats Directive (Council Directive 92/43/EEC) Reporting under Article 17. This dataset comprises of a collation of records of pearl mussels from Welsh rivers. This dataset contains detailed Phase 2 survey data from over 800 woodlands of conservation interest in Wales, predominantly Sites of Special Scientific Interest (SSSls) and pSSSI woodlands. Phase 2 woodland surveys have been carried out periodically since the late 1980s but a concentrated period of survey on SSSI and pSSSI woodland occurred from 1995 and 2000. Records for red and grey squirrels in Wales. This dataset is a collation of ad hoc sightings and species inventories from various locations around Pembrokeshire. It includes sightings from Special Areas of Conservation (SACs), Sites of Special Scientific Interest (SSSIs), Stackpole National Nature Reserve (NNR), and county records. This data is make up of plant, insect, mammals, lichen, mammals and bird records. A collation of all known records of stoneworts in Wales from 1726 to August 2003. Stoneworts (or charophytes) are a group of algae that grow in fresh and brackish water and have a relatively complex structure. This dataset is made up of species sightings from Ty Canol National Nature Reserve (NNR). Ty Canol is part of the largest block of ancient woodland in West Wales; it is in an area famous for its achaeological sites. This dataset is a collation of all confirmed occurrence records of UK Biodiversity Action Plan (BAP) Priority invertebrate species reported from Wales.